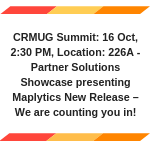 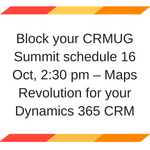 CRMUG Summit: 16 Oct, 2:30 PM, Location: 226A – Partner Solutions Showcase presenting Maplytics New Release – We are counting you in! 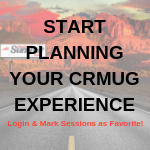 Start planning your CRMUG experience – Login & Mark Sessions as Favorite! 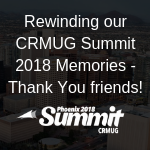 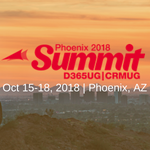 CRMUG Summit Phoenix – Its your community and you don’t need any top reasons to be there! 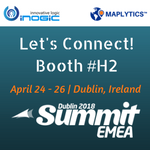 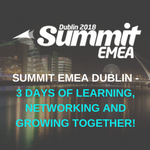 Summit EMEA Update 3.0 – One more reason to connect with us at Dublin, Ireland! 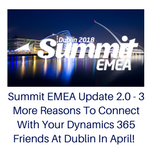 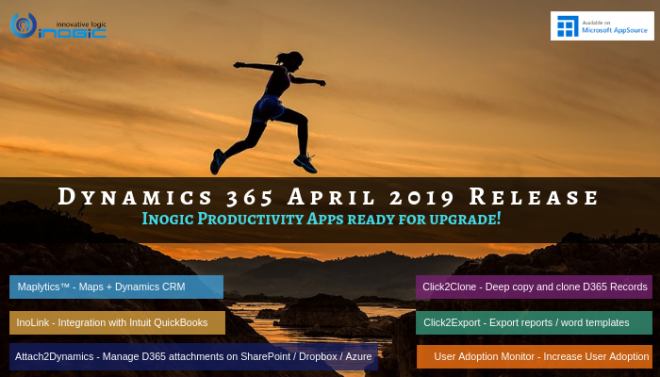 Summit EMEA Update 2.0 – 3 More Reasons To Connect With Your Dynamics 365 Friends At Dublin In April! 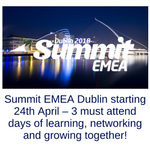 Summit EMEA Dublin starting 24th April – 3 must attend days of learning, networking and growing together! 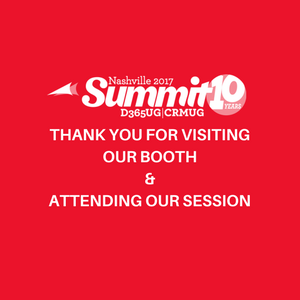 Thank You for interacting with us at D365UG/CRMUG Summit Nashville!